Sat., July 14, 2018, 8:25 p.m.
CLEVELAND – The Cleveland Indians recalled top prospect Francisco Mejia from Triple-A Columbus amid speculation about him being part of potential deadline trades. 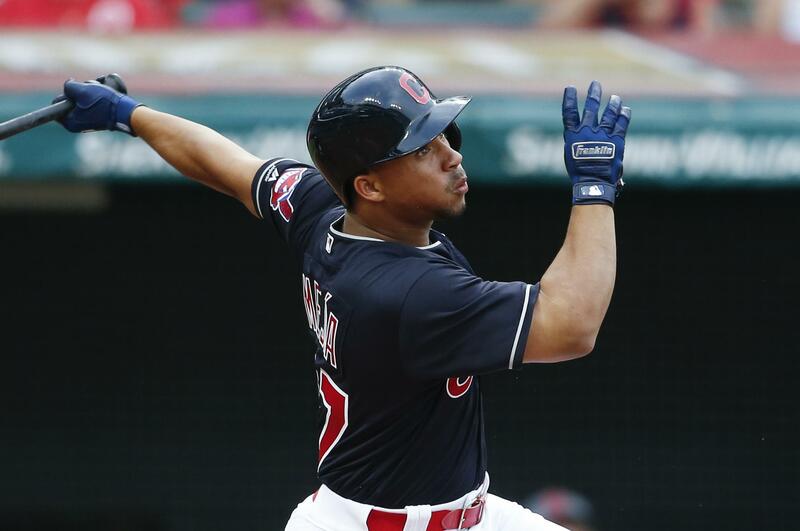 Mejia batted sixth and served as Cleveland’s designated hitter for Saturday’s game against the New York Yankees. He went 0-for-2 and walked twice in New York’s 5-4 victory. The 22-year-old usually catches, but the Indians have had him playing in the outfield to improve his versatility. He has caught 40 games this season, played 23 in left field and seven in right. Now that he’s with Cleveland, Mejia will not play in the All-Star Futures Game. Mejia is batting .279 with 21 doubles, seven home runs and 43 RBIs in 77 games for the Clippers. In June, he batted .455 with four homers and 23 RBIs in 24 games. This is his second stint this season with Cleveland, which could be tempted to trade him to find relief help or another outfielder. Mejia previously played in 13 games for the Indians, but batted only .154 with one RBI in 13 at-bats. Published: July 14, 2018, 8:25 p.m.